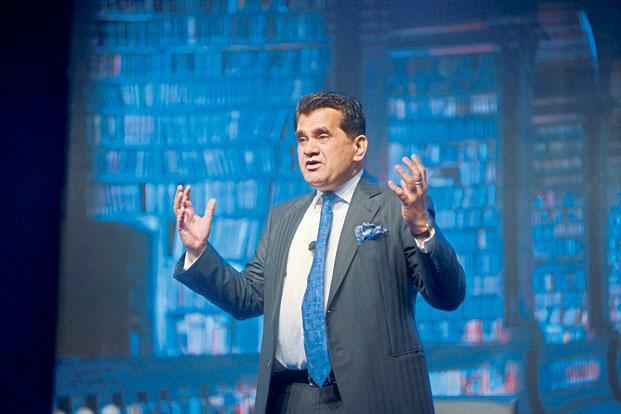 The Goods and Services Tax, to be rolled out next month as the biggest tax reform since independence, will help India achieve 9% growth rate, NITI Aayog CEO Amitabh Kant said on Tuesday. He said GST will simplify India's taxation system and help deal with tax evasion. “GST is India's biggest tax reform since 1947...GST will help India in achieving 9% growth rate,” Kant said at an event here. Noting that the implementation of GST is a dream of Prime Minister Narendra Modi, the NITI Aayog CEO said it will bring a big revolution in India's taxation structure. Several experts have also said that GST is estimated to boost GDP by 1% to 2% and bring down inflation by over 2% in the long term. Kant’s comments come against the backdrop of India losing the fastest growing economy tag to China for the March quarter with the GDP growth slipping to 6.1%. China recorded a growth rate of 6.9% during the January-March quarter. However, on an annual basis, India grew by 7.1% in 2016-17. Prime Minister Narendra Modi on Monday reviewed the preparedness for the new indirect tax regime, slated to be rolled out from July 1. The meeting was attended by Finance Minister Arun Jaitley, Revenue Secretary Hasmukh Adhia and senior officers from the Central Board of Excise and Customs (CBEC). The GST Council, chaired by Jaitley and comprising his state counterparts, has already finalised tax rates on almost all goods and services. It will meet again on June 11 to review some of the rates and discuss other pending issues. All goods and services have been put in slabs of 5, 12, 18 and 28%, with the exception of gold and precious metals, which will attract 3% GST, and rough diamond at 0.25% GST.